Emma Fielding, who is another vibrant member of our fantastic customer service team, is the focus of our next staff profile. 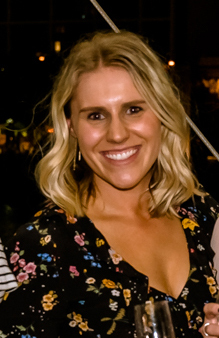 A valued employee of Caprice for over 5 years, Emma says ‘I love working at Caprice because of the fun environment created by a great team of staff’. In her spare time, Emma enjoys exercising and trying out new recipes. She loves to have a laugh with her friends and binge watch a good TV series on Netflix. She is also one of the many keen supporters of Hawthorn at Caprice. Emma’s favourite season is summer and therefore she loves to travel anywhere there is a beach and the sun is shining. Somewhere that will always hold a special place in Emma’s heart is London, where she actually lived for two years. Emma’s favourite quote is ‘Teamwork makes the dream work’ – and she certainly is a huge contributor to our team at Caprice!